Level Title. The name of this access level. 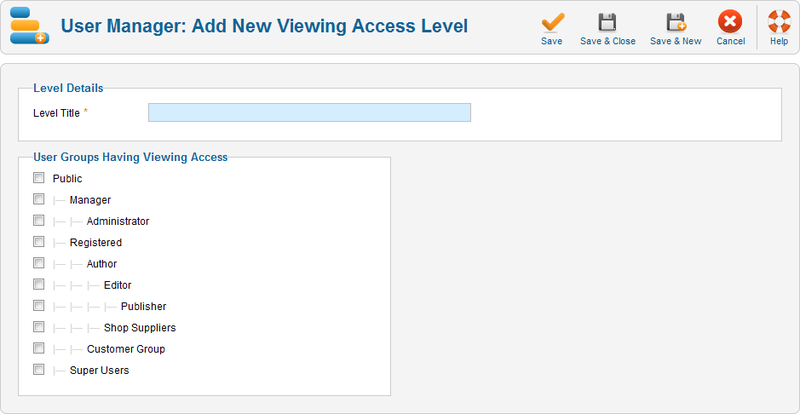 User Groups Having Viewing Access. All user groups defined for the site will display, with a check box for each. Check the boxes for all groups that will have access to this level. Remember that you don't have to check child groups if a parent group has access. The child will inherit the access from the parent.